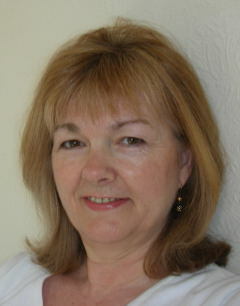 Tricia Jones is a superb romance writer who justly deserves to be more widely read in the UK than is currently the case. Play Me, published 2009, is her fifth book and like all her previous novels, doesn’t disappoint, gripping you to the very end in a battle of wills. One that will leave you breathless, satisfied and wanting more. This is a superb summer read, perfect for sultry afternoons in the garden, a long cool drink to hand, or reclining on a hot sunny beach with a chilled bottle of prosecco or champagne close by. Either way, you will need something to keep you cool for the sexual tension positively oozes from every page, enough to make you hot under the collar as the plot weaves its way through a tug of love in a will she/won’t she tale of love and revenge. Enter Raul, a rich, powerful and determined Sicilian who will stop at nothing to have his pound of flesh. He’s met his match with Nina, equally wealthy, who is prepared to play for the highest stakes to stop her family business falling into Raul’s ruthless hands, a man you, and Nina, really ought to hate but cannot. Tricia’s skilful writing brings these two beautiful characters to life on the page as she takes us on an exciting journey from the casinos of Monte Carlo to the beautiful Italian lakes in reaching the story’s climax. Play Me is available direct from American publisher Samhain or through Amazon, as are all her books, in paperback and Kindle format. Visit Tricia Jones for further details and reviews of her novels. I certainly look forward to her next one. Tip of the Day: How to easily open those maddeningly tight lids on jars. 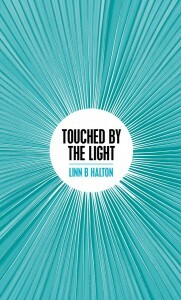 When I purchased my Kindle I promised myself I would not buy any more paper books but the release of Touched by the Light made me break that vow such was my enthusiasm to read this book. And I wasn’t disappointed. It is a brilliant read. This Psychic Romance delivers on all counts even if you don’t believe in the supernatural and paranormal, life after death, spirits or anything remotely psychic. Touched by the Light draws you into the story immediately when Mya, knowing she has died, is thrust unwittingly and unwillingly into a quest to bring together two love-torn people, Laurel and Dan. There are no ghosts to spook you, just one or two things that do go bump in the day; a door slamming, items being thrown across a room but these are just ways Mya makes herself known to Dan. Laurel can talk to spirits, and Mya finds herself able to communicate with her, trying to make sense of her own predicament as well as solving Laurel’s difficulties even when summoned by a Ouija board and a medium who tries to make sense of what is going on in their two worlds. Although at times we do lose sight of Mya a little along the way, the ending is surprising, raising more questions than can possibly be answered on this journey into the spirit world, but a satisfactory conclusion nonetheless. New writers are frequently told not to write in the first person because of how limiting this is in enabling the necessary reactions and actions between characters but Linn has achieved what many writers never do. She has created strong, believable characters in an intriguing plot that moves forward a pace. Each chapter is told from one character’s viewpoint delivered in the first person. And it works! No small feat for a new writer. So, well done Linn on a superb read. I look forward to reading more of your books in the not too distant future. Visit my Kitchen Tips and Hints page for my Tip of the Day on sugar.